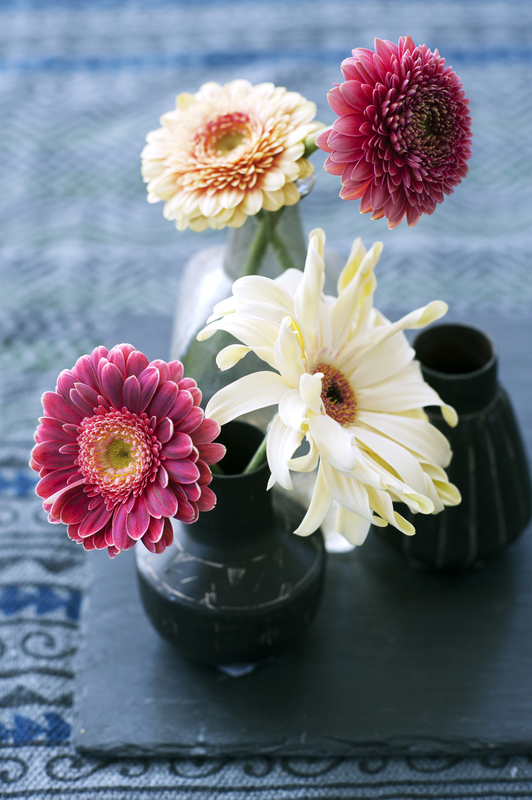 From weeks 14 to 18, the colourful gerbera is central to the Flower Calendar. At Funnyhowflowersdothat.co.uk, the consumer can read in the calendar everything there is to know about this versatile flower with its fresh appearance. The gerbera is gorgeous flower that originates in South Africa, Asia, South America and Tasmania. 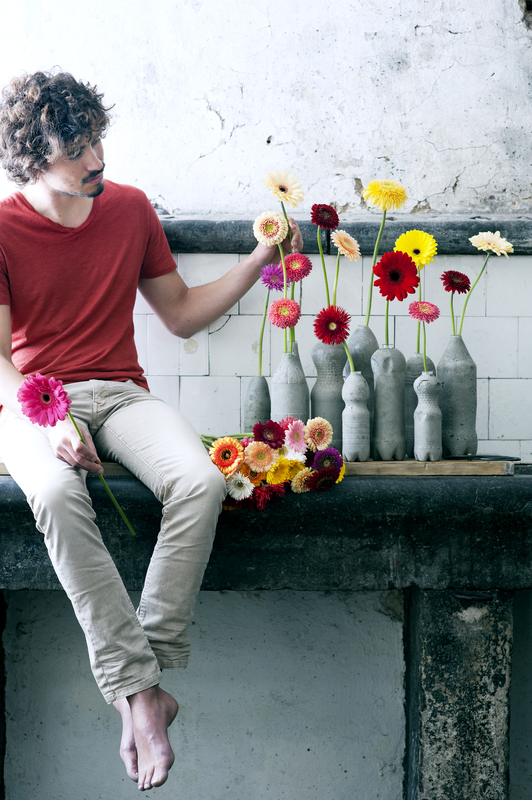 Did you know that 900 million gerberas are produced in the Netherlands every year? So it is a popular flower - and rightly so! Colour followed by even more colour; that is what the gerbera offers you! 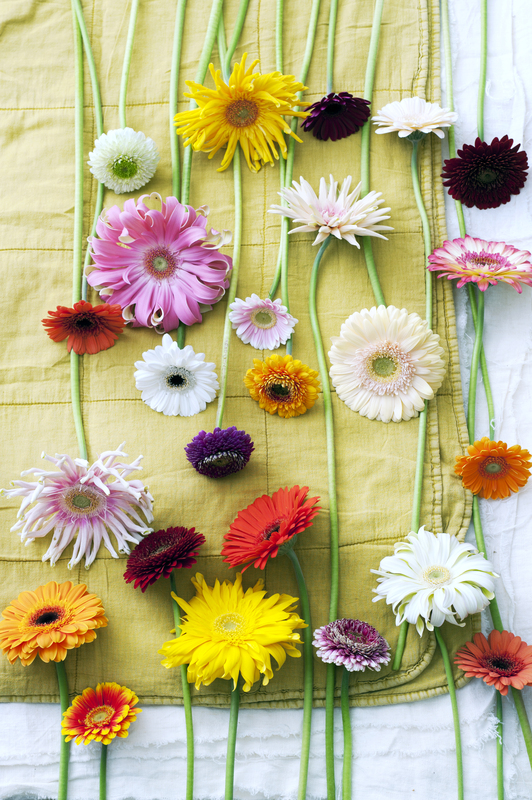 The basic colours of gerbera are white, red, yellow, pink, purple, orange and green. The flower may also consist of two colours, multiple colours or a range of colours derived from the basic colours. The beautiful centre of this flower can be black or green. To summarise: there is plenty of choice of colour. The shape is downright cheerful, the petals come in various forms as funny as ‘spaghetti’ and ‘spider’. 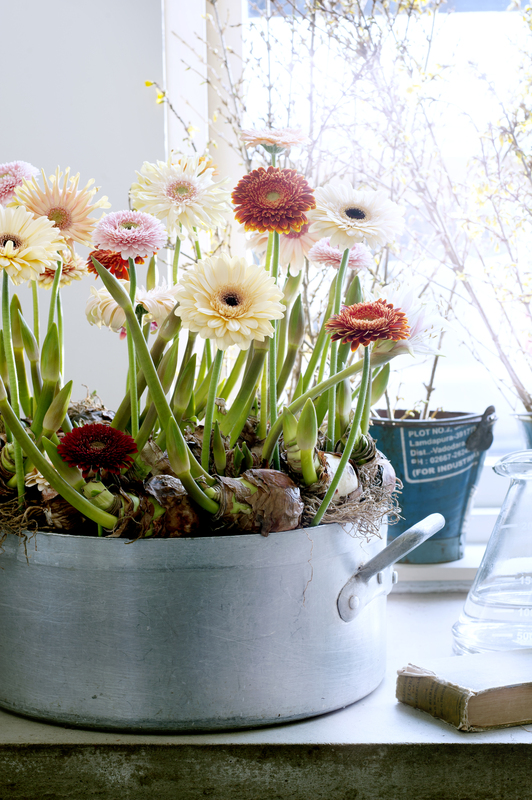 With all this variety, the gerbera adapts to just about any style or trend. A room with a robust, nonchalant yet distinctly cozy look. The materials used are natural, weathered and unrefined. “Simple” and “natural” are words that set the tone. This results in a “less refined”, more authentic ambiance than before. 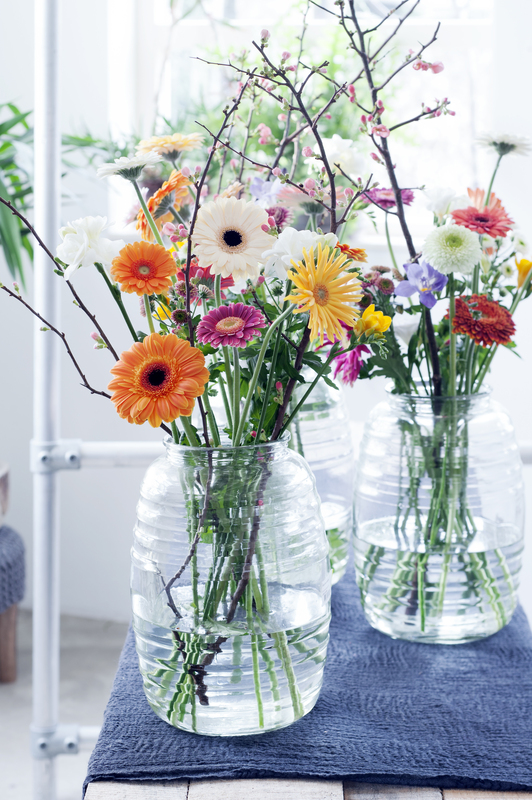 The gerbera fits in perfectly well, especially presented soberly but colourfull in a glass vase, or together with some other flowers and grasses in a container of raw, natural material. Just look at the pictures. The flowers in the Flower Calendar have been photographed in accordance with the Green Industry Trends 2015 (Groenbranche Trends 2015)*. A distinction can be made between three style trends: Unexpected Wild, Eco Luxe and The Happy Life. The gerbera doesn't have a symbolic meaning, but with its colourful and sunny appearance, the flower stands for cheerful and cosy. Children feel it instinctively: when they draws a flower, it is in the shape of the gerbera. So from now on its presence means "You make everything better!" What is that, the Flower Calendar? 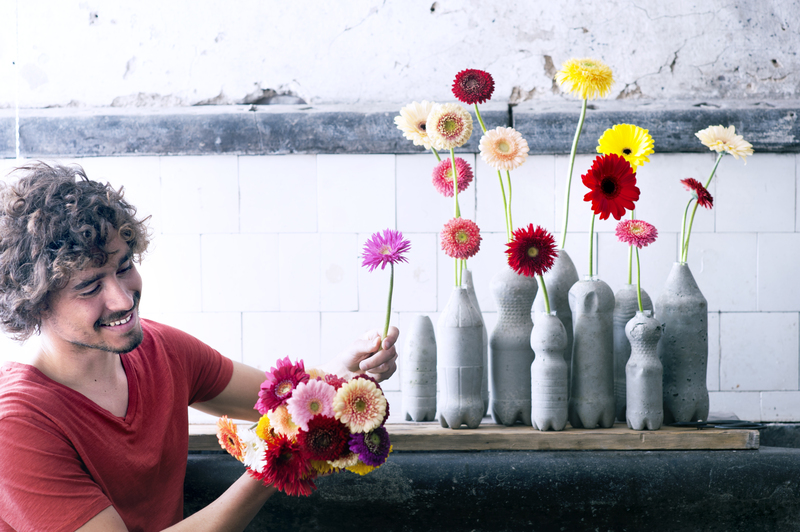 The Flower Calendar 2015 presents 15 flowers, arranged according to the season in which they are available. The calendar can be found at Funnyhowflowersdothat.co.uk. 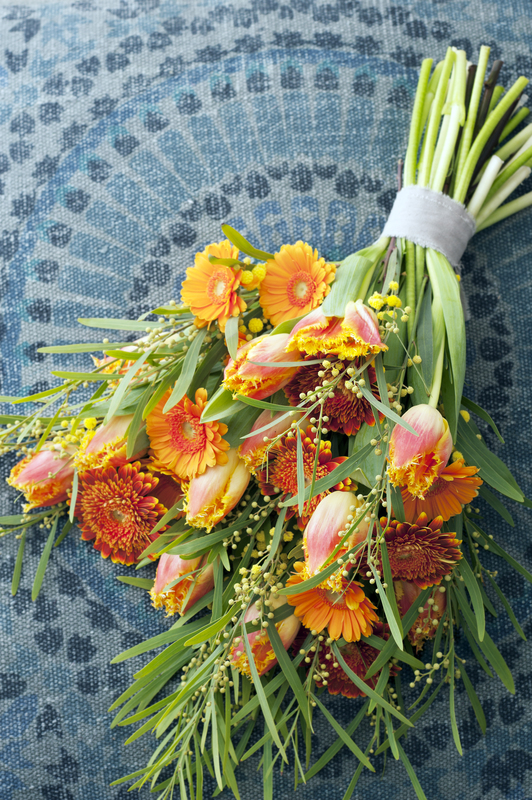 The Flower Calendar is an initiative of the Flower Council of Holland in consultation with FloraHolland and the VBW - parties that have selected the fifteen flowers on the calendar together. 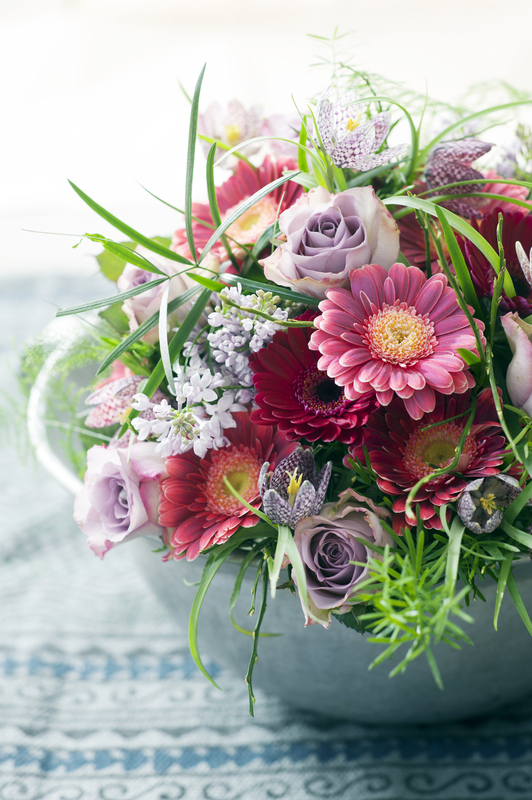 With the Flower Calendar, the Flower Council of Holland is meeting the requirement for seasonal flowers, product-specific promotions and flowers that are available all year round to promote to consumers. *The Green Industry Trends 2015 have come about as the result of a collaboration between Tuinbranche Nederland, Branchevereniging VHG, iBulb and the Flower Council of Holland. All of the attached images may be used free from copyright restrictions.